While there are several flights a day from Athens to Santorini, the connection with our carrier left us with a lengthy layover. We had talked about heading into the city but with our 3:40 am wake up call, I wasn't sure we'd be up for much so we decided to play it by ear. 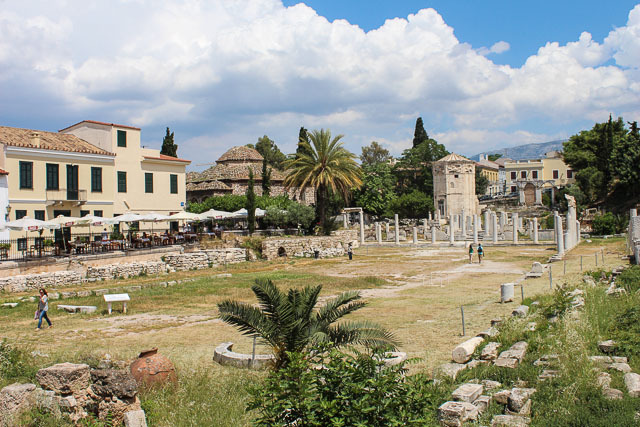 Upon arrival in Athens and one quick look around the airport, we knew 6 hours was going to be far too long to do nothing so we picked up the pace and put the plan to action. At the end of the Arrivals hall, we checked our carry-on bag for 3€ with Pacific Baggage Services and then followed the signs to the Metro where we bought 2 tickets to Central Athens (Syntagma Square) for 14€. The train departs every 30 minutes and it takes about 40 minutes to the centre. 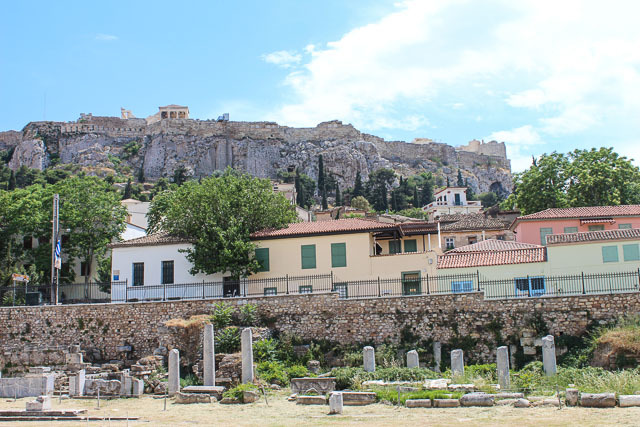 Originally, we talked about immediately walking to the Acropolis in hopes of taking in one of Athens most famous sites but by the time we got everything sorted and into town, we knew we'd be too rushed for time. 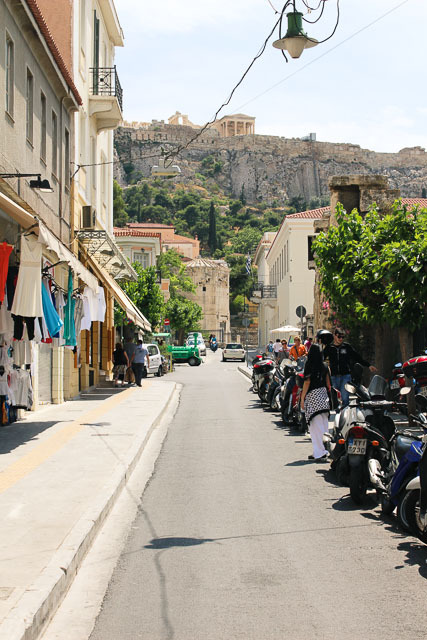 Instead, we perused the streets and stopped in awe every time the Parthenon & Acropolis came into view, perched high above the city. We stumbled upon other Ancient ruins scattered throughout the city centre and after a late lunch, we returned to the airport to catch our final flight. 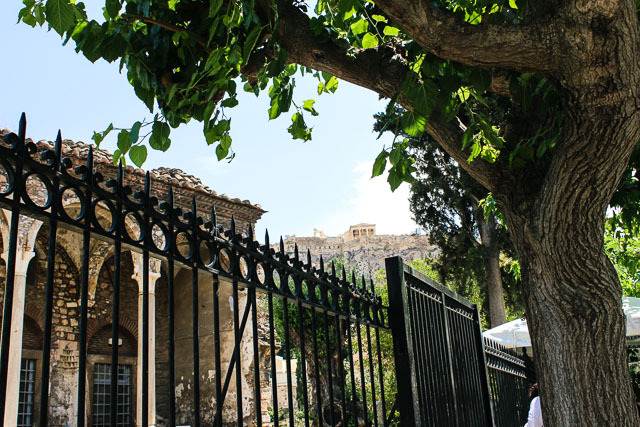 A few hours definitely wasn't enough to take in one of the world's oldest cities and the birthplace of democracy. Wonderful photographs! It really makes me want to visit! 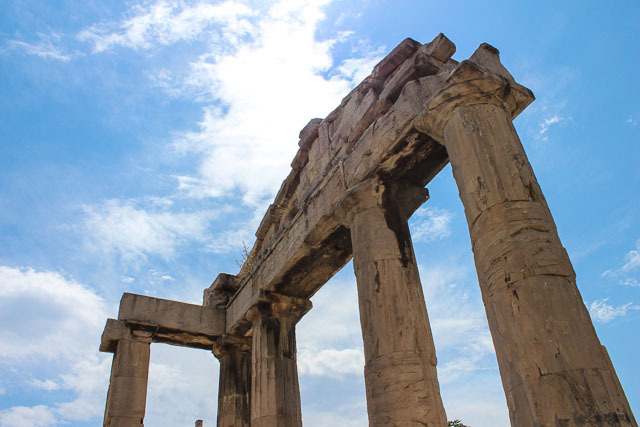 Beautiful photos... we've gotta make it to Greece soon after seeing your amazing trip! Thanks Casey. 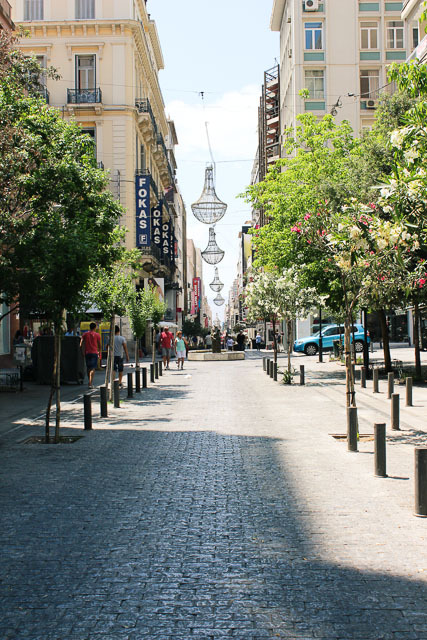 Greece is certainly a travel highlight for us! Wow. I definitely want to try to spend a couple of days here in Sept/Oct! 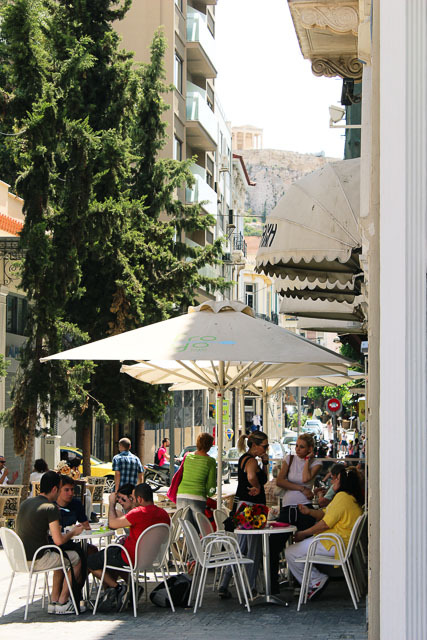 So much to see in Athens and so much great history! I hope you can schedule it in! Awesome. I love doing this on layovers, Copenhagen is a particularly great place for it! This sounds like a pretty fabulous lay over! Way better than an airport terminal! Your whole trip has been seriously inspiring! way to take advantage of a long layover! we plan on doing the same when we have a layover in shanghai this summer!